Momma Quiring gave me this fabric over the holidays. 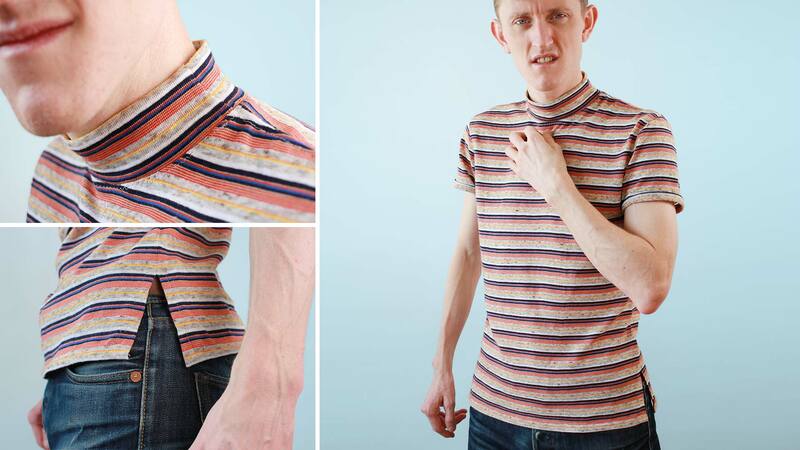 Using the fabric as inspiration, I turned it into this 70s-esque mock neck. Also, this fabric is ever so delightfully soft and nice to wear so that’s a plus. Wanna see the video where I made it?